The story with writing that spoke to me the most was Goodbye, My Brother. 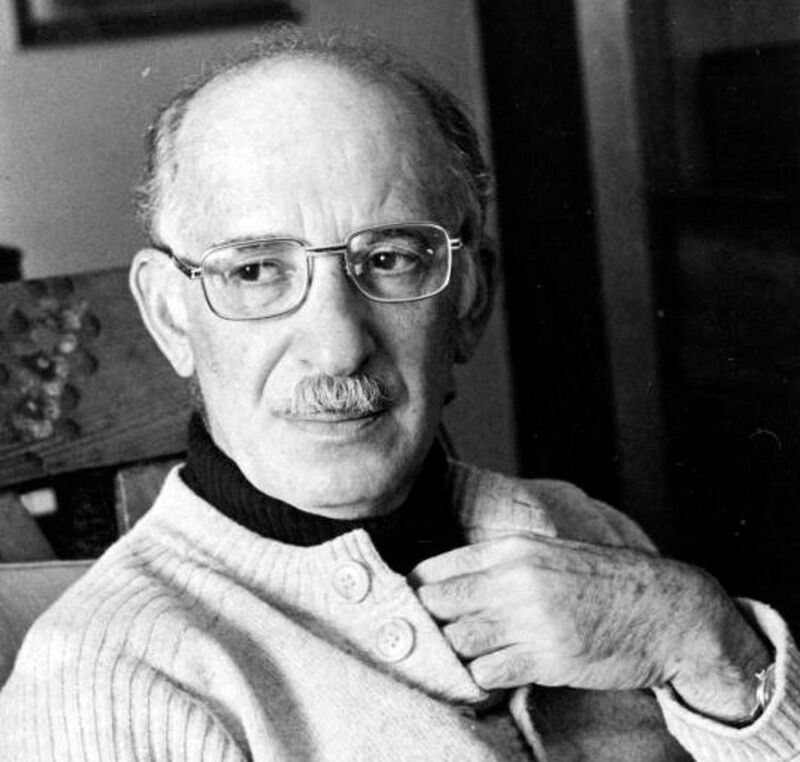 Like my writing, Bernard Malamud creates characters through their dialogue. His dialogue indicates the state the character is in and the kind of character that’s speaking. But, something that he does in his writing that I would like to learn to emulate is having the narrator observe, and creating a delicate balance between observation and dialogue. Sometimes, I felt it was too much observation, but that is my own taste. Other times, the observation helped guide my eye from one place to the next. I also want to delve more into familial relationships like this story did. One of the things that I need to learn is how to balance the absurd or the fabulist or the magical with the mundane. Sometimes I need to learn from Jewbird, where the fact that this bird can talk is accepted without comment, but the magic is an indescribably important part of the story. But sometimes I need to learn from The Last Mohican, where the only thing magical or fabulist that happens is the constant reappearance of Shimon Susskind in places that he sometimes should not be. I need to learn how to have magic as a big part and give as little explanation as possible, or to have magic or something fabulist in nature as something less important, but there in the background. That's the lesson I intend to learn from Bernard Malamud's writing. We've spent a lot of time talking about how characters in short stories "turn," that something about what they go through gives them an opportunity to shift in a way that is either accepted or rejected. But what I find in Malamud's work is that the setting or scenery of the piece seems to turn as much as the characters do, and that turning influences the overall themes and mood of the stories. Leo's mood at any point in time can be discovered by looking at how Salzman is described and acts within the different spaces; as Fidelman becomes more anxious and then desperate, he explores the less luxurious parts of Rome he was hoping to observe (he literally moves to a less convenient hotel room in a way that matches his sudden spike of anxiety); and the Cohen household is filled up more and more as the tension rises - the bird's presence, then his house, then his involvement in Maurie's studies, then the cat - before the bird and his house are literally thrown out by Cohen in a fit of rage (he is literally attempting to force the setting to be how it was before the bird's arrival). Like, damn. If there was only one skill I could develop for the rest of my life, I would want Malamud's ability to let the environment tell the same, or other aspects of, his main story. I guess what I would take from this author is the ability to comment on topical subjects in unconventional ways. Specifically, in Jewbird. A talking bird commenting on being Jewish is funny and absurd, but the dialogue is relatable. That blend of absurdism and realism is something I would like to borrow because it speaks to what I want to write. The story "Jewbird" is incredibly funny at first. It's a slice of life comedy, filled with quiet optomism, that builds toward a climax that both is and isn't expected. The way that the Jewish vernacular is implemented harkens really to the way that most subgroups, old or young, implement slang, which is effective at making the story feel close to home despite it's foreign nature. By foreign I don't mean from outside of my understand, I mean strange, as in there is a talking bird, and the father thinks he's a freeloader. It ends on a heinously empty note. I think there was more that could have been said for Schwarts, and perhaps that's the point, that he never took more than he needed, and didn't get as much as he deserved. Cohen is a sad man, and he deserves to keep selling frozen foods. What speaks to me about Malamud's writing is the way in which all strange things are accepting, almost unquestioningly--and certainly without surprise. When I write absurdist fiction, my goal is to write it in a way very similar to this. I like to make the strange happenings seem almost mundane in their fictional worlds so that shock value doesn't factor in to the plot of the story. That's what's so fantastic about absurdism in the first place, you don't have to explain yourself more than you want to. Things don't need to make any more sense than you're willing to allow them. What I want to take away is the nouns as verbs. I know I saw it in "the Jewbird" but the only one I can remember at the moment is "dovening." I find using nouns as verbs can be so specific and so relatable to a reader. In addition to that it is very specific to a situation and, most of the time, that verb can never be replicated due to context. It is just so poetically and narratively cool. There is just such a limit to what the english language can do that experimenting with what it can do is fantastic!